Giveaway ends November 28, 2015. Yes, it's true! Once Beloved, my third Victorian romance, was released on November 10th so I'm only five days late in announcing it here! Ha! But...what is it about, you ask? Well, it's a story about making mistakes and finding redemption. It's a story about dealing with devastating loss. It's about getting--and taking--second chances. And it's about sheep. Yes, sheep. Okay, only a little bit about sheep. Sale Alert! NEVER TOO LATE is $0.99 at major e-booksellers! 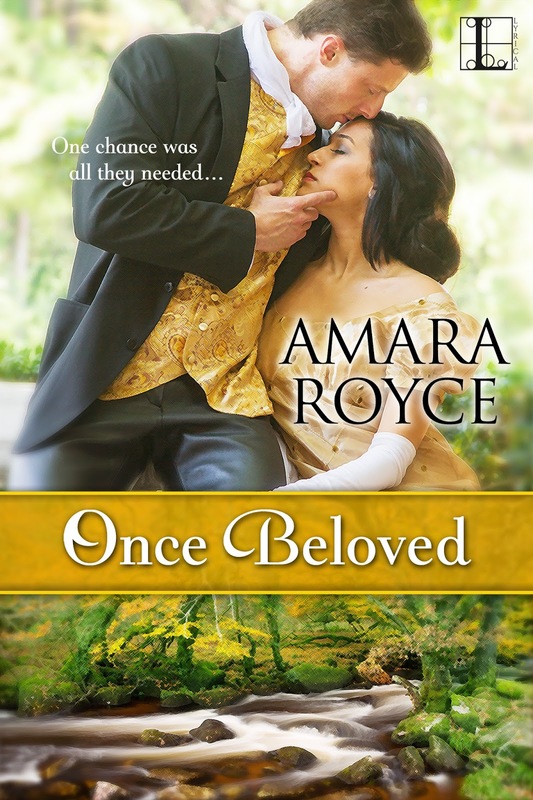 In advance of the November release of my next book, ONCE BELOVED, my 2013 historical romance NEVER TOO LATE (ebook version) is on sale at major e-booksellers for just $0.99! Expect the unexpected, especially in a room filled with books. . .
Honoria Duchamp is well aware that men often consider widows easy prey for the role of mistress. What else could explain the attentions of handsome Lord Devin, and his visits to her bookshop? The much younger Viscount has even shown interest in the printing press with which she creates pamphlets on London's basest injustices. Yet his chief interest appears to be in her. . .
ONCE BELOVED is available for review via NetGalley! With ONCE BELOVED coming out on November 10, it's that time! A Kensington/Lyrical Press contact informed me that ONCE BELOVED is now available for reviewers to request on NetGalley! NOTE TO POTENTIAL REVIEWERS: Personally, whatever you think of my book(s), I'm thrilled when anyone takes the time to read my work. You might love it, hate it, or anything in between. Want to Get Your Novel Published? Some Essential Resources! Occasionally, I encounter people who've written a novel (or two or more) and are interested in getting published but don't know what to do about it. In more than one instance, I've had people say they sent their manuscript to a publisher and gotten a rejection, and now they don't know what to do next. Sidenote: Having had it drilled into me from countless editor and agent blogs and online writer forums over the years that direct-querying publishers is NOT the ideal first step because you can't generally open that door again when it has shut, hearing this from aspiring writers makes me cringe a little. If you know what you're doing and choose to do it that way, great! But if it's what you do because you weren't aware of the industry, that narrows your choices without you even knowing it. In most of these cases, the writers aren't familiar with the publishing industry at all. They don't know how "traditional" publishing works. Maybe they've never heard of a literary agent or a query letter. Maybe they haven't thought to look up publisher submission guidelines. They wrote a novel, and so they sent it to a publisher in hopes the publisher would want to publish it. So it doesn't surprise me when agents and editors post anecdotes about such situations. Yes, there are people who really don't know and really don't know what they don't know. And so I'm posting the following resources since these tend to be my go-to suggestions for writers who come to me saying "I wrote a book, and I want to get it published but I don't know how to find publishers." To be totally honest, I'm posting them not only for any online passersby who might be interested but also so I can easily come back and copy/paste them the next time someone asks me for assistance! 1) Nathan Bransford's blog (former agent, now novelist): This link takes you to his post on "How a Book Gets Published." It's a great, clear overview of the process of obtaining representation and seeking publishers. No, not everyone needs an agent. But if you have your heart set on getting published with one of the Big Five publishers, the main NY publishers who get books into chain bookstores, you probably need an agent. Also see his list of "Publishing Essentials" down the left side of his screen for more helpful information about things like query letters and whether you should self-publish or go the more traditional route. 2) Query Tracker: Whether you decide to see a literary agent to represent your work or go straight to publishers, Query Tracker is a fantastic resource when you're ready to seek them out. You would need to create a (free) account, but then you would also be able to use the site's tracking information, such as how long it has taken QT members to receive responses, what the partial or full request rates have been for a particular agent or publisher, etc. And you can narrow your search by genre to see which agents/publishers accept that genre. Also, when you search for publishers, you can see whether they accept unagented submissions or not. This link takes you specifically to Absolute Write's forum about agents and publishers, and AW members generally post their experiences and observations regarding them. So you could use this to check out publishers like the one you mentioned. You can find out if other people have had bad experiences. Other forums on the site can provide useful information about how to approach an agent or a publisher, etc. These are my first-round lineup of resources. If you wrote a book and you want to get it published but don't know where to begin, start with these! *Sale Alert* NEVER TOO LATE for $0.99! My first book, NEVER TOO LATE, originally released in 2013, is currently on sale at various e-retailers for just $0.99! Take a look at my Never Too Late tab for more on this Victorian historical romance featuring an older woman who runs her own bookshop! I submitted Book 3 to my editor this week! It still needs a name...I mean, it had one at the synopsis stage, but that was just a working title. And I gave it a new title when I submitted the final manuscript, but that one is still not definitive. And the title is just part and parcel of how difficult it was for me to write this book. For many reasons, Book 3 was a challenge for me, and it took me a long, long, long time to catch the flow of the story. Yes, as the creator, I'm supposed to be in charge. I'm supposed to be able to decide what happens, who does what to whom, and who gets punished for what. A writer has all that god-like power. Sure. But Book 3 refused to acknowledge my omnipotence. Maybe this was my version of a sophomore slump. Or maybe I teetered on the edge of burnout. After all, during the writing of this book, I applied for both tenure and promotion to associate professor. And finished working on a grant project...and began co-chairing a new committee...oh, and let's not forget teaching five courses per semester. Okay, enough of this "my diamond shoes are too tight" whine (Anyone else remember that episode of Friends? No? Just me...). Oh, and here are a few details about it...it's another Victorian romance, set in the same time/world as NEVER TOO LATE and ALWAYS A STRANGER, but it takes place mostly outside of London in northern England, more specifically in the vicinity of Bradford and Leeds. It's a "second chances" story that was very loosely (and I mean very, very loosely!) by Elizabeth Gaskell's NORTH AND SOUTH. I know that's not really telling you about the actual story. I'll get to that soon, I promise! On to Book 4! Ever forward!